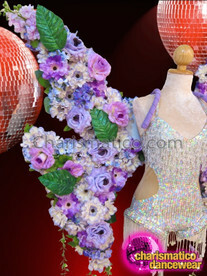 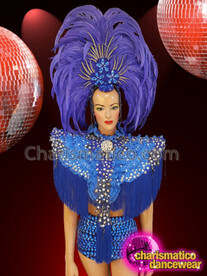 Spice up the 70s iconic look of Cher with loads of deep color, with this exciting wig and sequinned ensemble. 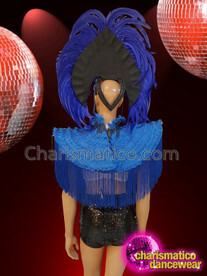 The navy blue fringed wig lets you relive the look of The Queen of Pop, but with a psychedelic, punk rock touch. 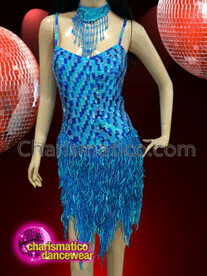 The blue sequinned fringed dress beautifully highlights the body contours, followed by a deep cut, barely-there skin fabric till the belly button.